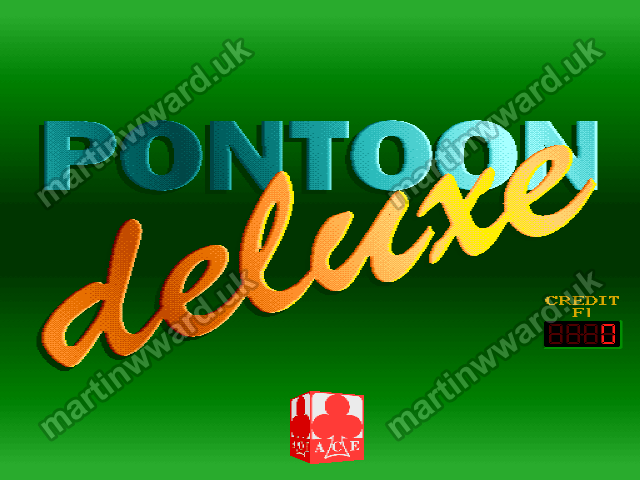 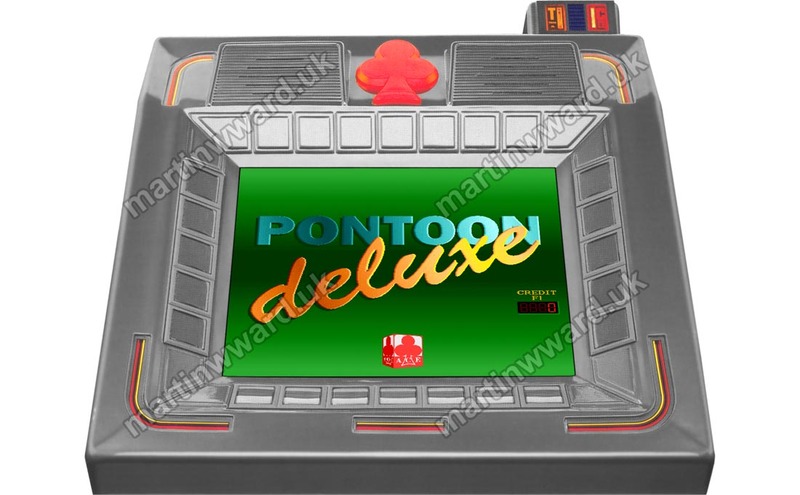 Pontoon Deluxe is a solitaire-style video playing cards game. 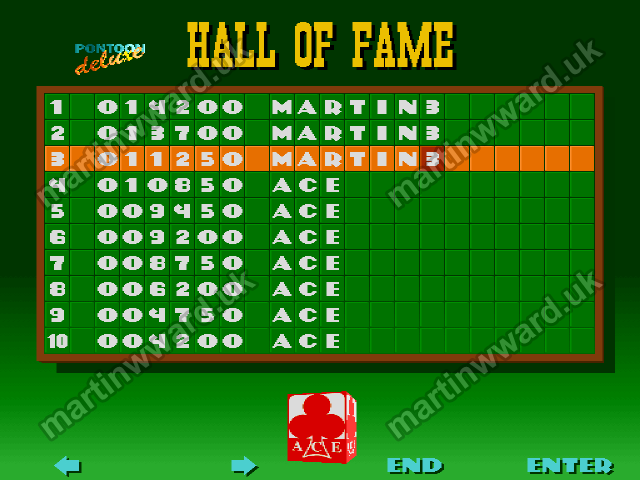 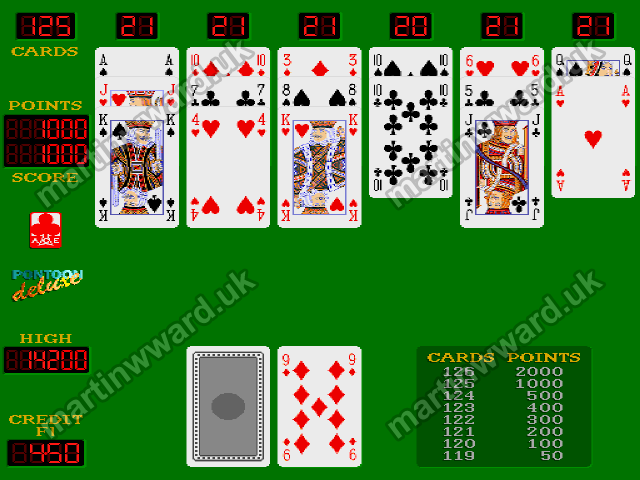 It is a points-based tournament game of skill. 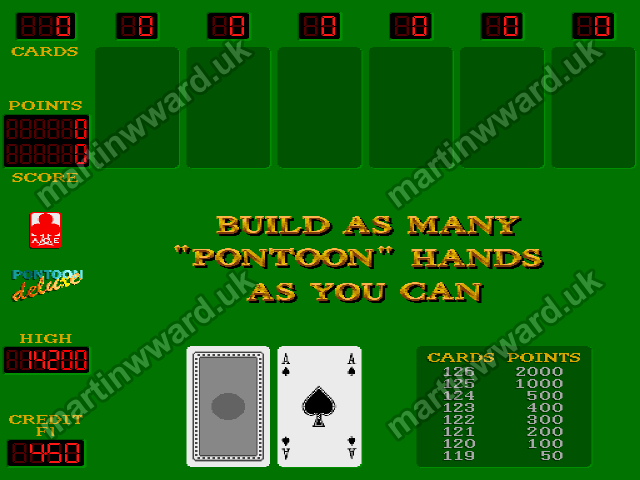 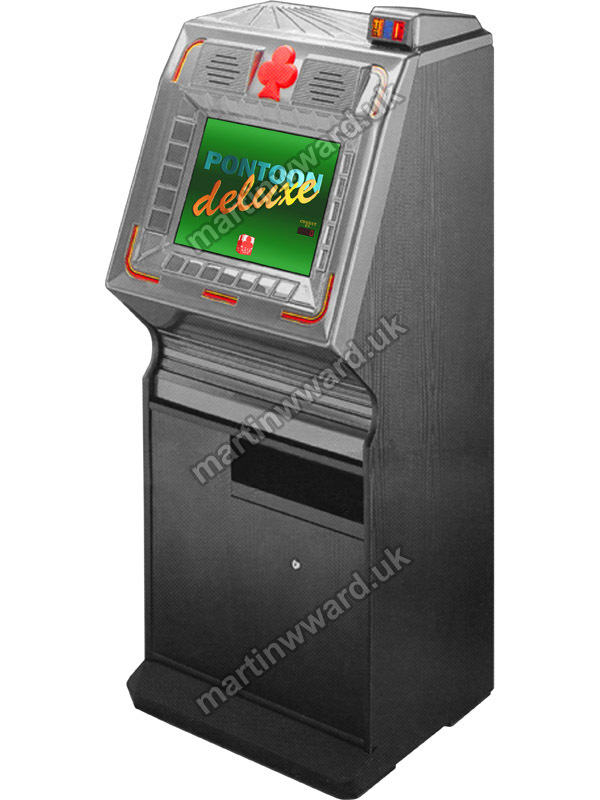 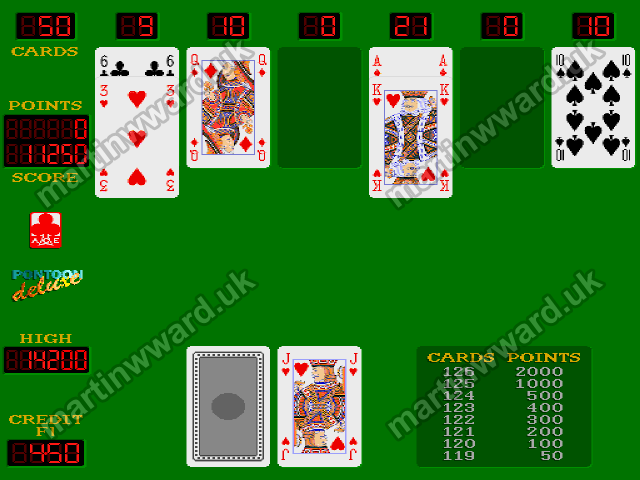 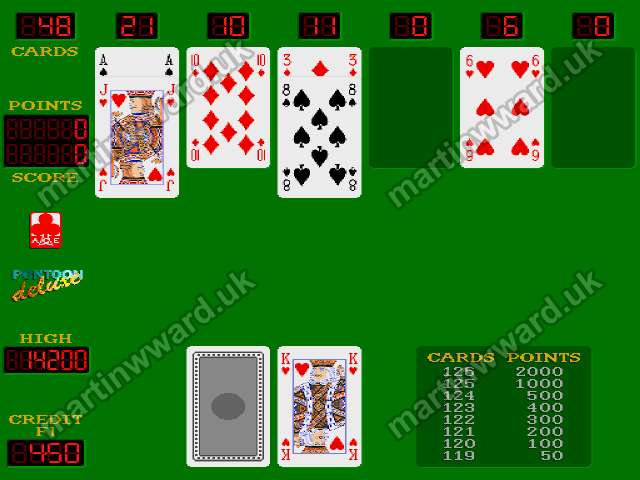 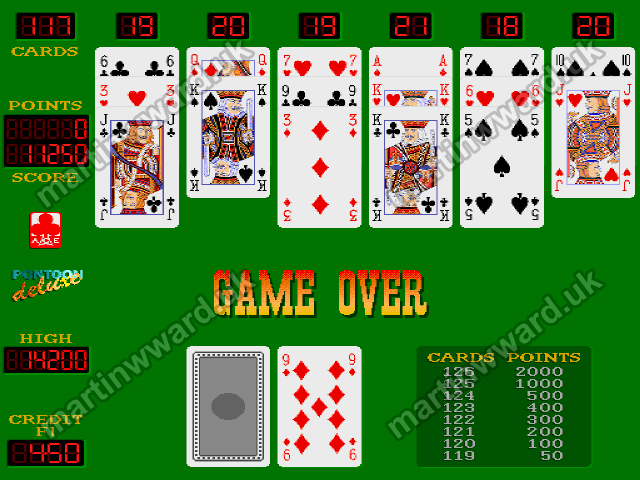 The game is based on the well-known card game of Pontoon, or Black Jack.